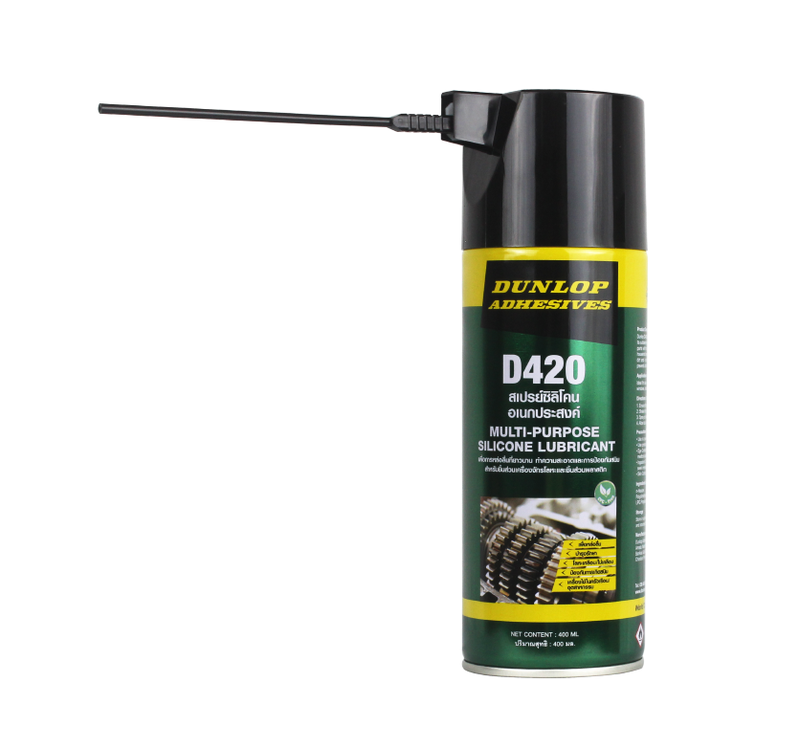 A multi-purpose CFC-free, silicone lubricant spray. 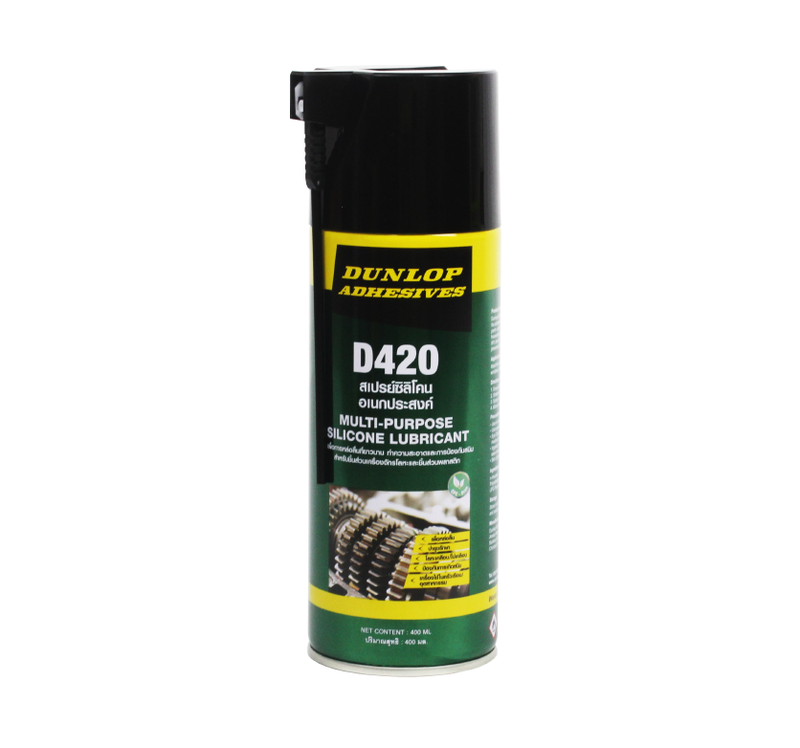 Dunlop D420 is a multipurpose, CFC-free silicone lubricant spray. 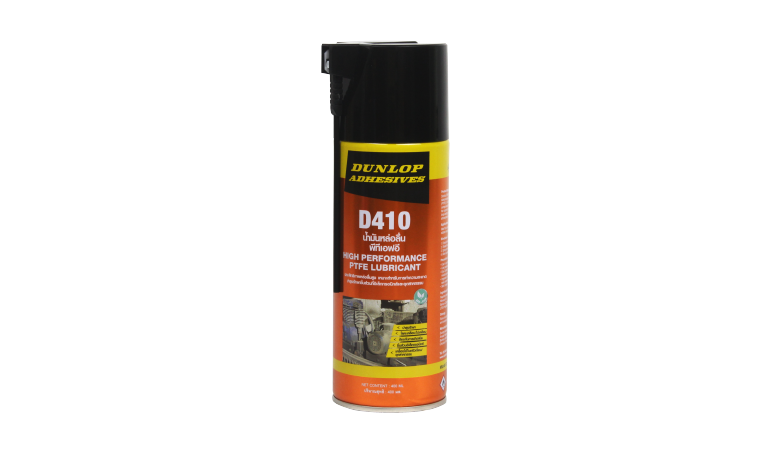 Its non-staining, hardworking silicone-rich formula protects and lubricates moving parts with no greasy mess and can be used on a variety of household and industrial applications. 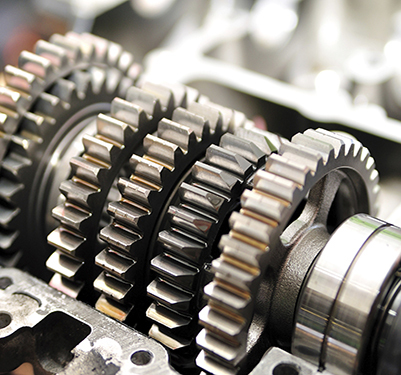 It does not attract dust or dirt and is ideal for reducing friction, eliminating squeaks and prevents binding, sticking and deterioration. Its built-in, elongated Pro-NozzleTM delivers results at precise points and over wider areas preventing surfaces from sticking or fusing. Usable in temperatures ranging from -35oC to 200oC. 3. Spray Dunlop D420 on and around the item to completely saturate.